A 6.9 Magnitude Earthquake Struck in the Loyalty Islands Region of the South Pacific Ocean Less than two hours ago. | Chaos Sweeps Away the World We Know! The Disaster, current events & Catastrophe Blog. Forecasts for 2014 to 2022. Read tomorrows news today! Plus current economic, commodities, stock indices and financial news. 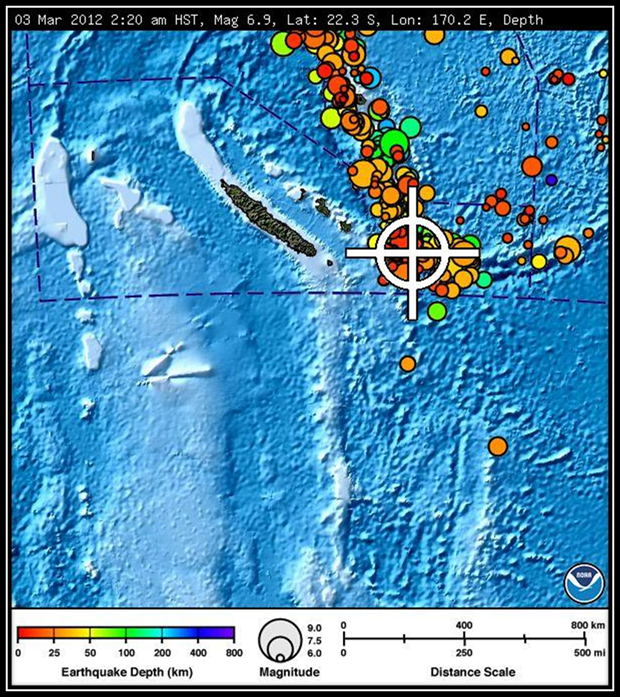 March 3, 2012 – A 6.9 Magnitude Earthquake Struck near the Loyalty Islands less than two hour ago: The powerful quake was 111 miles west of Lle Hunter, Loyalty Islands (LI), New Caledonia (NC); 161 milesESE of Tadine, LI, NC; 247 miles east of Novmea, NC; and 1,047 miles NNW of Auckland, New Zealand. It was 11:19PM at the epicenter, 7:19AM in New York, 6:19AM in Chicago, 5:19AM in Denver and 4:19AM in Los Angeles. The strong tremor occurred at a depth of 15 kilometers (9 miles). 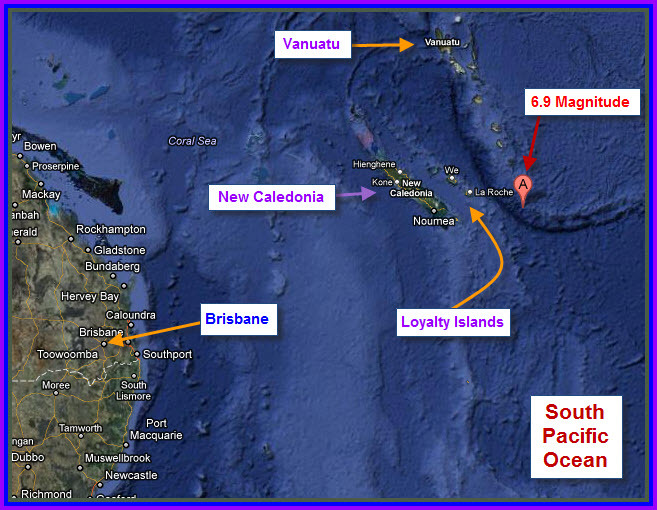 This area of the South Pacific Ocean is home to many of the powerful earthquakes of the world. The southwest Pacific Ocean is a major juncture of the “Ring of Fire” tectonic plate, the Philippines plate and the Java Trench. 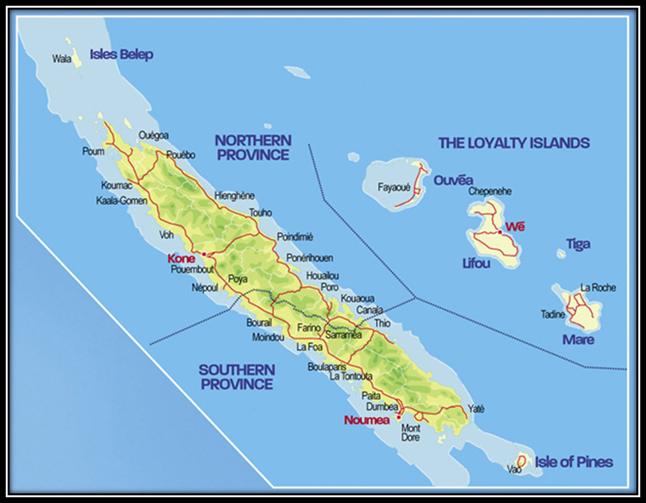 The Loyalty Islands are an archipelago in the Pacific Ocean, which is part of the French Territory of New Caledonia whose mainland is only 100 kilometers (62 miles) southwest (see map). 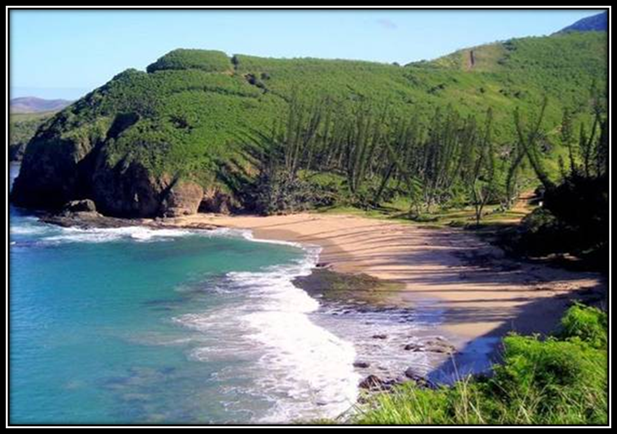 Since New Caledonia is within 100 kilometers of the epicenter, precautions should be taken along the north coast of the Island. (Credits: NOAA, USGS, PTWC, Wikipedia, Narrative – PTWC, USGS, W. G. Foster). This entry was posted in Australia, Earthquake, Events, Fiji, Misc, Miscellaneous, Nature, New Caledonia, New York City, New Zealand, News, Pacific Ocean, Papua New Guinea, Ring of Fire, Samoa, South Pacific Ocean, The Kingdom of Tonga, The Sandwich Islands, The Solomom Islands, Vanuatu and tagged a 6.9 magnitude earthquake struck near the loyalty islands march 3 2012, Australia, Earthquake, earthquakes, fiji, new caledonia, new caledonia earthquake 6.9 magntidue march 3 2012, new zealond, The Master of Disaster, tremblers, tremor, tremors, vanuatu. Bookmark the permalink. 2 Responses to A 6.9 Magnitude Earthquake Struck in the Loyalty Islands Region of the South Pacific Ocean Less than two hours ago.